Our new awning is a Shade Maker awning. It is similar in color to the original one but is a marked improvement in the overall quality. Replacing your bag awning for a pop-up camper may be more cost-effective than you think. 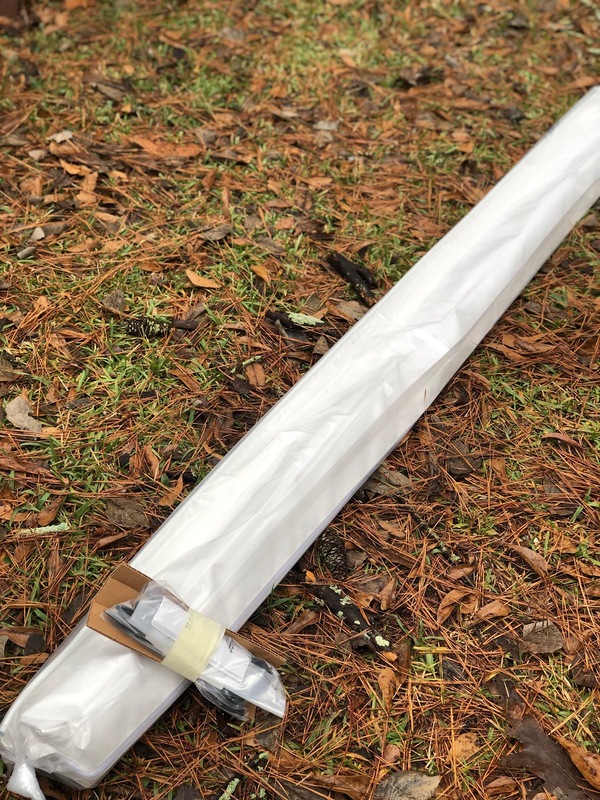 If you have an older pop-up camper with failing parts, consider that the cost to replace a basic bag awning could be only slightly more than the cost of purchasing parts to repair an older awning. We repaired our original awning for half of what it cost for us to replace our awning. If you are considering repairing your existing awning, are going to need to purchase replacement parts. I had to purchase a replacement pole, rivets, and a rivet gun. The only problem is that a few months later a storm damaged our brand new pole. The likelihood of that happening to most campers might be slim, but consider the cost of a repair versus a total replacement. 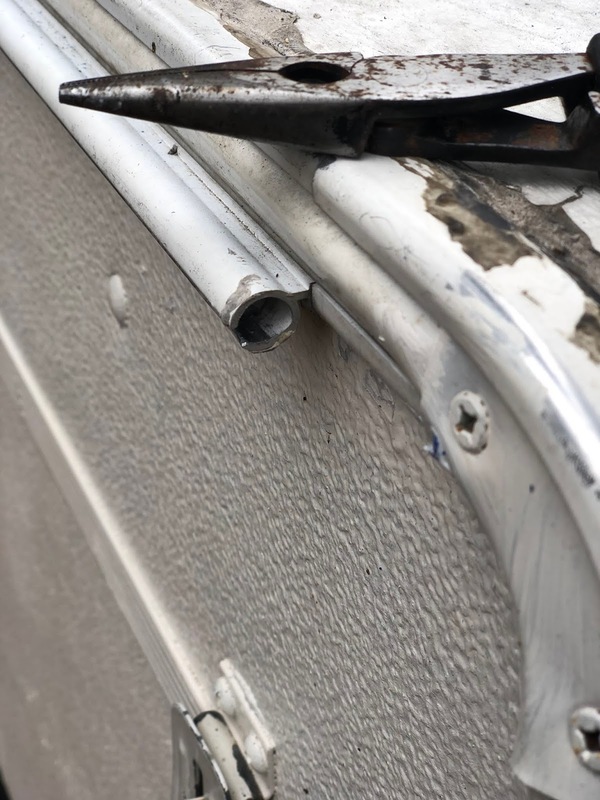 My repair was about $140 for the pole, rivets and rivet gun. For about $100 more, I could have replaced my whole awning since my camper is so small. 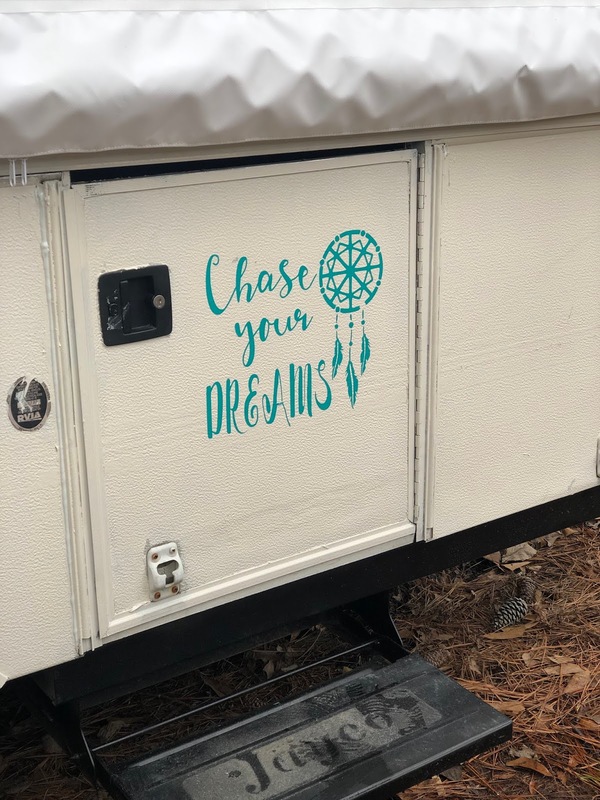 It's these little things that can really add up and be costly to someone that is both new to camping and renovating a camper. This is our original set up and awning. 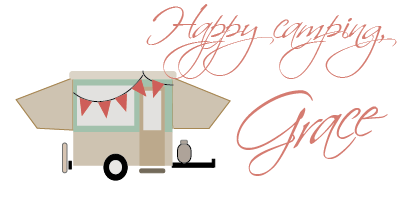 I loved the retro vibe of the stripes on our camper and the awning, but it had all gotten worn and needed updating. The original awning was damaged. It was difficult to set up, and one of the poles would never fully extend. My husband I were both tired of trying to make it work. We finally decided that we didn't want to repair the awning a second time. It was time to just replace. 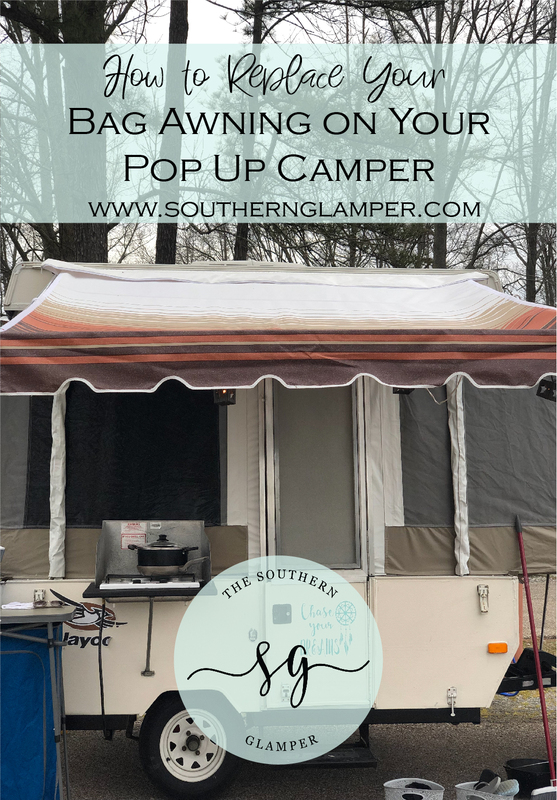 Finding a bag awning that is small enough for a small pop up camper is a special job. However, Shade Maker bag awnings do have awnings that will do the job. 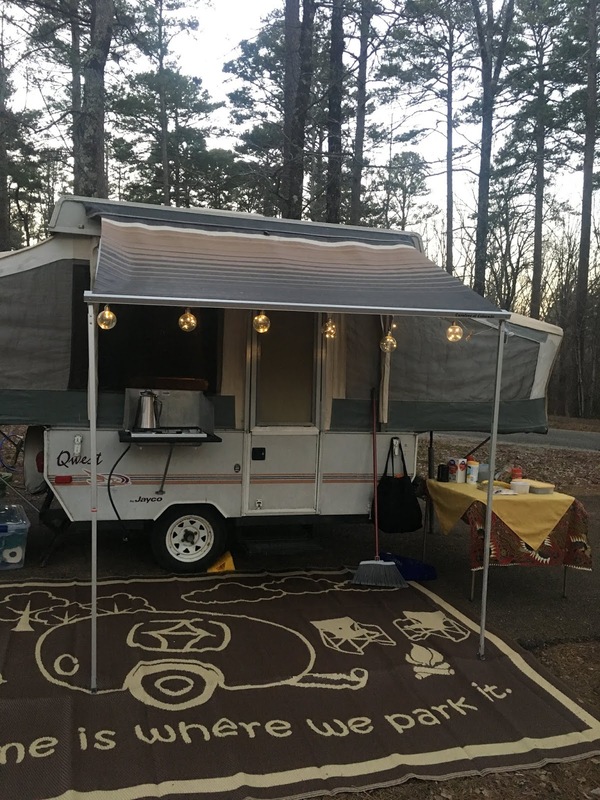 So, if you have a smaller pop-up camper, these bag awnings are just what you need. We only needed an awning that would be 6 feet in width. We decided to purchase from JC Whitney specifically because they had the best price, and because I could use an E-Bates rebate and get the best price. The scalloped detailing on the front edge of the awning also adds a nice touch. It extends further in the front giving us a lot more shade and room for cooking and space to shield us from the weather. This came in handy on a recent trip. The twisting tension rods are much easier to set up than our previous ones. I like how the side rods have this plastic knob at the end that snaps into place for a much more secure extension. Much better construction. It is taller and the door does not scrape against the top. Velcro pieces make it easier to put away when packing up to store. The construction is much sturdier so it is easier to set up and take down. My husband and I both have been happy. 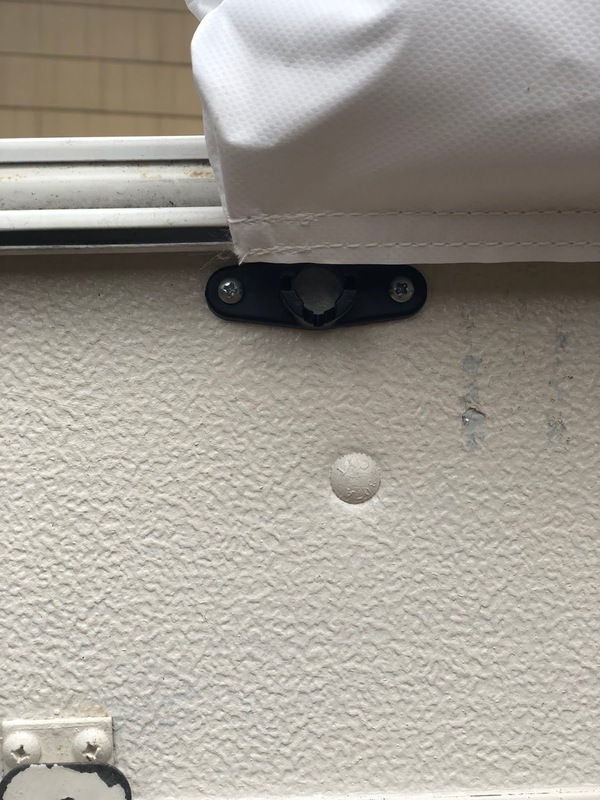 The plastic piece underneath is where the awning poles fit to hold it into place along the sides. This is a big improvement from the levered rods on a previous awning. If you have an existing awning, you will need to measure your awning track. 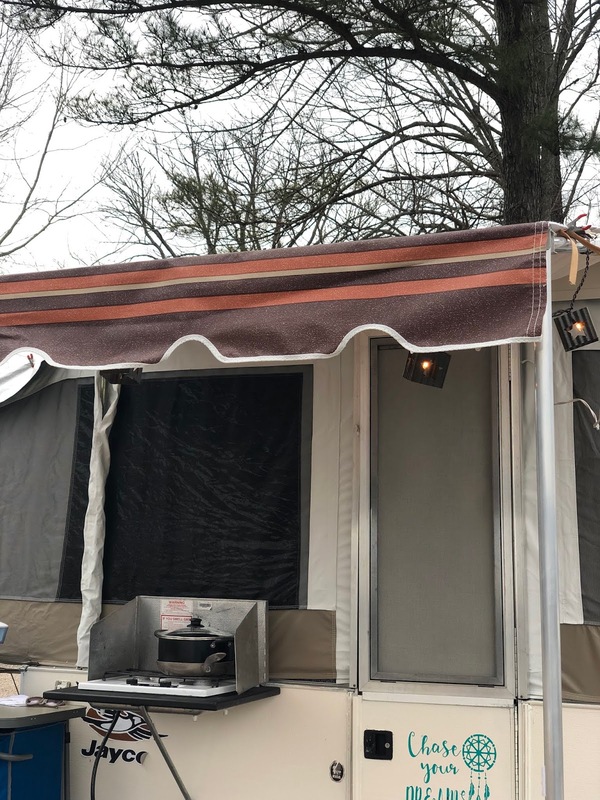 Make sure that your new awning is not longer than the track that you already have. When your new awning arrives, you will slide the old awning out of the track and the new awning slides into the track. Secure the new awning according to the directions. And you are done. Everything arrives in one neat package to install. The old bag awning already had an existing track for the new awning. All I had to do was slide it out of place. 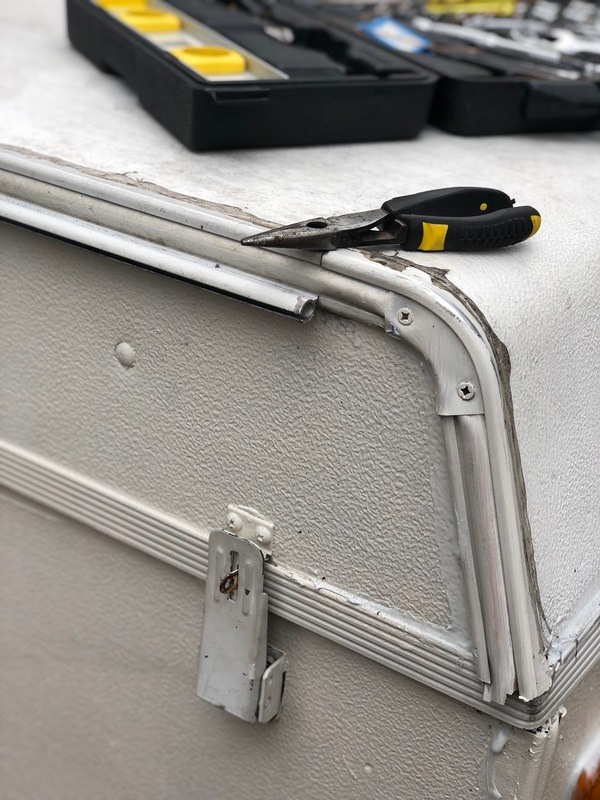 I used a pair of needle nose pliers to pry open the end of the awning track so that I could slide out the old bag awning. 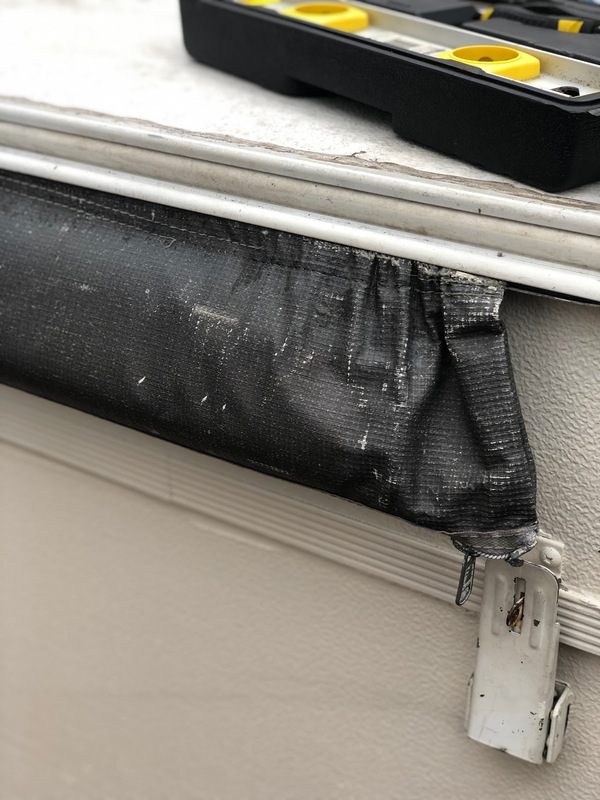 It had been clamped shut to hold the previous awning in place. Once it was open, I could slide the old awning out and side the new awning into place. I clamped the awning track closed again when I was finished. The new bag awning is a marked improvement even with it closed! We put together our new awning in about 30 minutes start to finish. I'm so glad that we did this. If you are on the fence, then you probably already know that you should replace your awning. It will make a big difference. 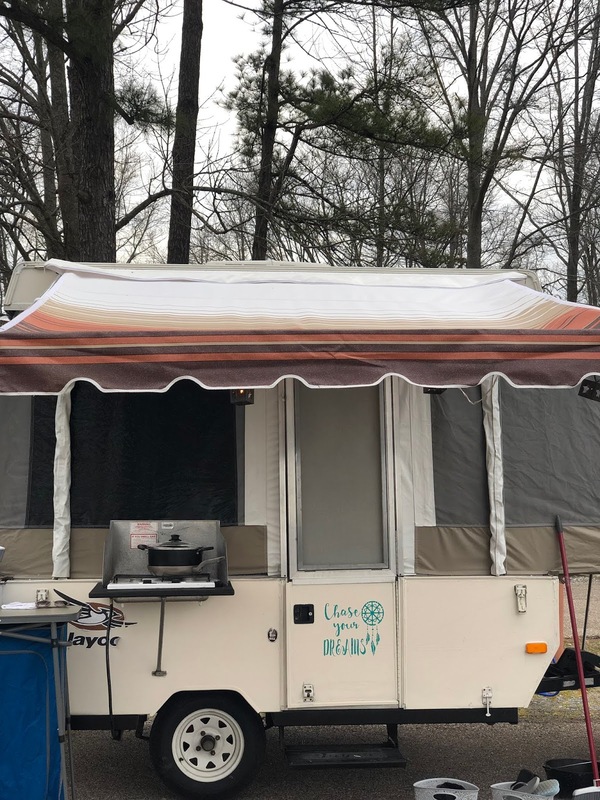 I loved the retro look and feel of the original awning on our camper. I was sad to see it go. But, I'm not sad that we have an easier set up with our new awning. It's nice and new and works perfectly without us having to prop up one leg with a bunch of leveling blocks. Pin this post to your favorite Pinterest Board.